Bennett Design Group (BDG) was founded in July of1996 on the principle that design matters in the success of any facility or business. As a Certified City of Houston Woman Owned Business and Texas Historically Underutilized Business (HUB), it is BDG’s strategic decision to remain a small firm, producing high-end interiors with refined detail. 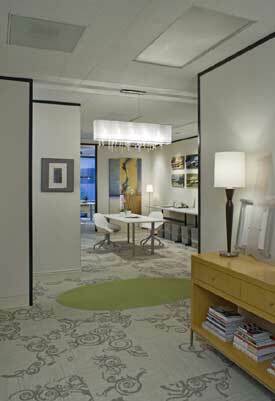 BDG specializes in the design of healing Healthcare environments, Education, and Hospitality projects. BDG is well versed in LEED categories, applicable products and strategies to supplement the architectural team for certification of LEED projects. BDG utilizes the latest technologies in computer drafting and communication tools. This allows a better understanding of design concepts when presenting ideas through rendered floor plans and 3D renderings. BDG has an extensive, up to date library of interior resources for materials and furniture, offering cutting edge design. Attending yearly trade shows in Chicago, Las Vegas, and Dallas contributes to our design team’s creativity and approach to our projects.